50 thousand pieces sales last year in Japan!!! - SUPPORi is recommended for a baby who can sit up by themselves (approx 6 months / 7 kg) to 36 months / 15 kgs. 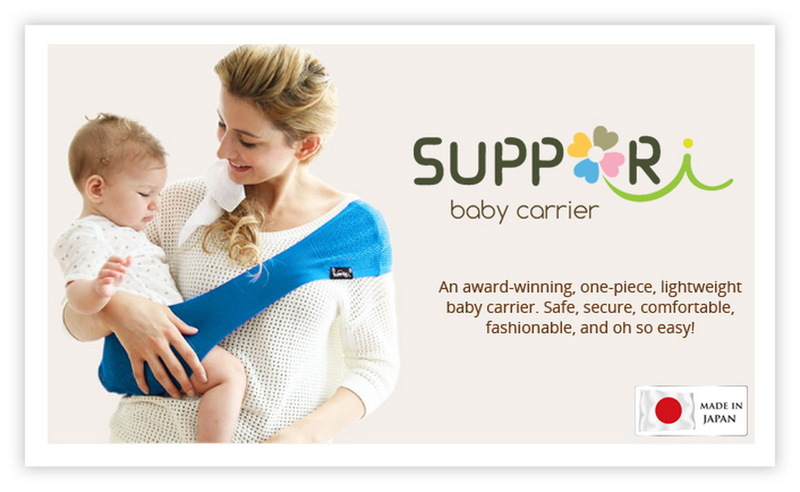 - The SUPPORi should NOT be used for newborns. - SUPPORi is safe for pregnant moms to use too. - SUPPORi has become the latest hot topic in various child care magazines. - SUPPORi is simple and comfortable to wear, can be used by mothers, fathers, grandparents and caregivers. 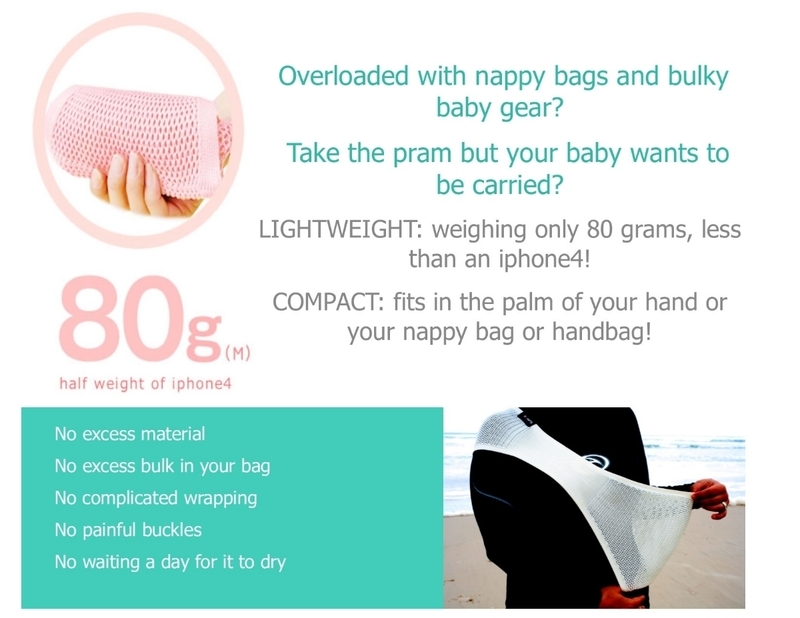 - SUPPORi supports baby's weight with the deltoid muscle. The deltoid muscle is very strong, thus making you feel more comfortable carrying the weight of your baby for a longer period. - The knit structure can stretch over your shoulder snugly, thus staying in position. With diapers, bottles, bibs, wipes and extras to carry, moms are often overloaded. - Conventional carriers are unlikely to ease your load. They are often heavy, weighing in at around 700-800g, and takes up too much space. 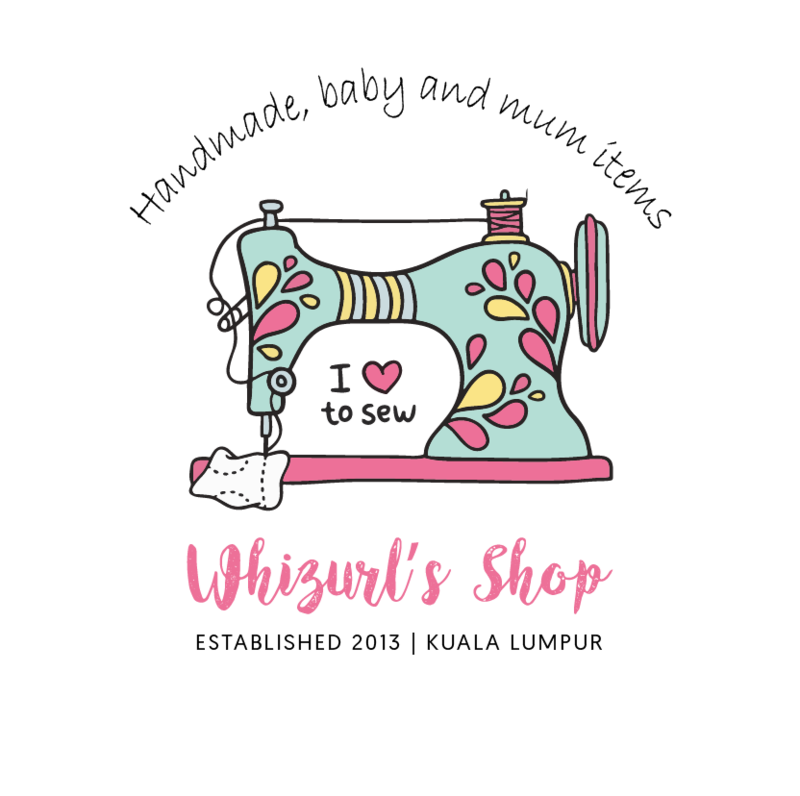 - A SUPPORi, however, weighs only 80g for a size medium. It is also very compact, easily fitting into your palm, or handbag. You can carry it anywhere! 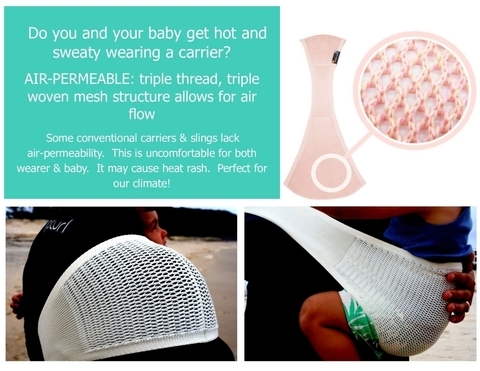 - Conventional baby carriers are not very permeable. As such, when baby gets sweaty, it can be a very uncomfortable ride during summer. In extreme conditions, the lack of permeability can cause heat rashes. Because of SUPPORi's whole mesh structure, this is avoided. Please measure your height and underbust in cm, then only choose which size you should buy from below guideline.